ReMix AV Solutions - 4476 Dunlop 412P.73 .73 Yellow Sharp Tortex Picks, 12 Pack. 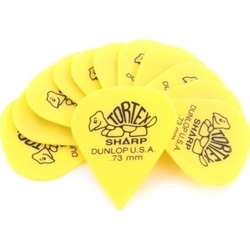 / General Accessories / Picks / 4476 Dunlop 412P.73 .73 Yellow Sharp Tortex Picks, 12 Pack. 4476 Dunlop 412P.73 .73 Yellow Sharp Tortex Picks, 12 Pack. 12 Yello Sharp .73 Guitar Picks..